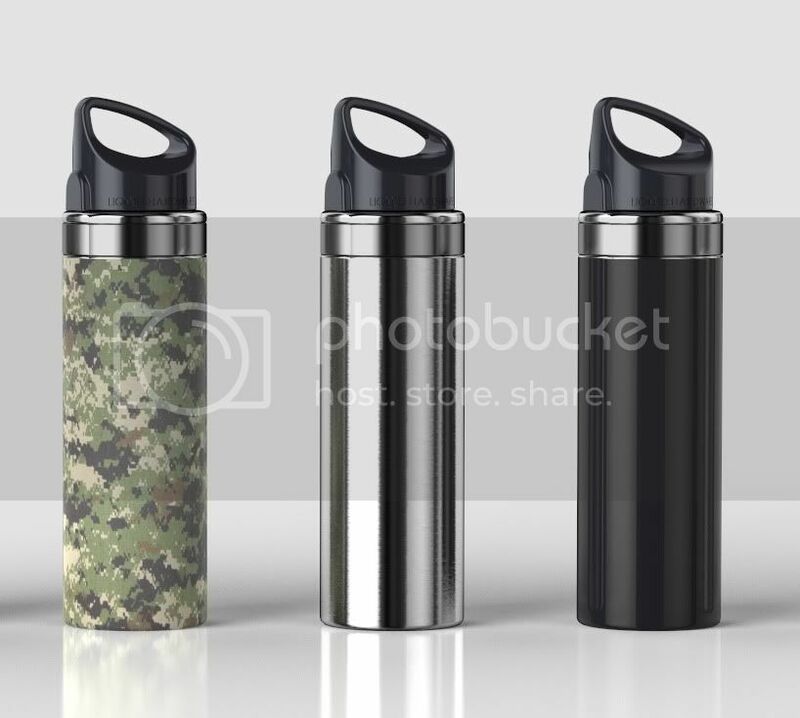 Magnetic Top Water Bottle: Never Lose Your Lid! Bottle lid hides a rare earth magnet. Just stick it to the side of the stainless steel bottle & never lose your lid again. 209 backers pledged $10,344 to help bring this project to life. 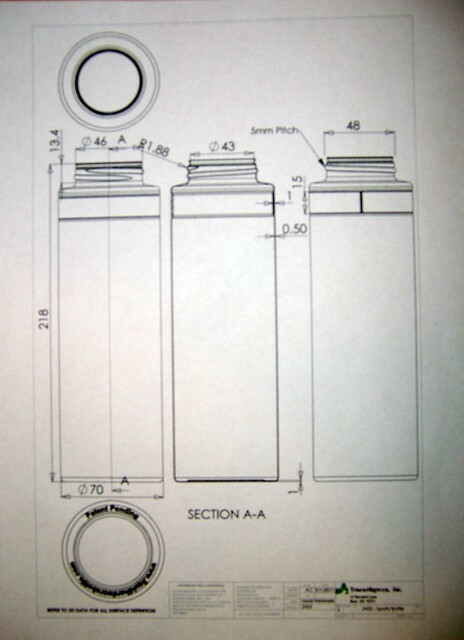 PROJECT UPDATE ** For now, Liquid Hardware bottles will all come with black BPA-free polypropylene lids. I needed to make sure that the lids were all BPA- free and to make sure for now, the lids need to be black. I hope to offer colored lids in the future. First, thanks for stopping by to check out my project: The Liquid Hardware Magnetic Top Water Bottle (Patent Pending). My name's Steve and the name of my company is Liquid Hardware. 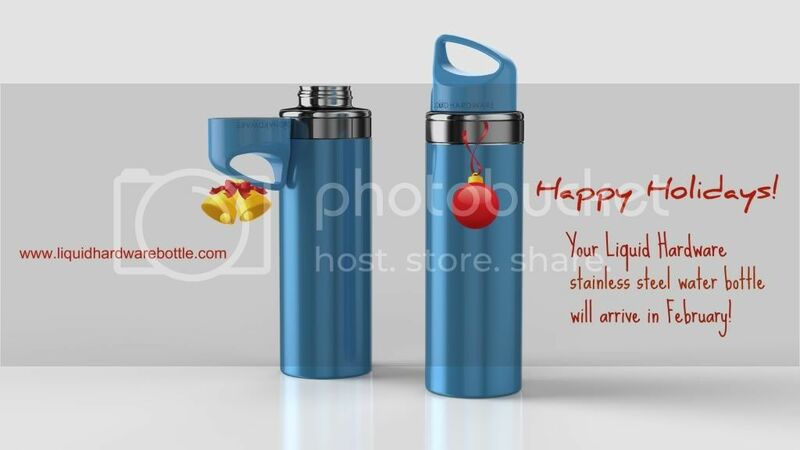 I am trying to get a reusable, stainlesss steel water bottle with a magnetic lid into the hands of as many people as I can. My bottles are BPA-free, leakproof, and guaranteed for life with a cool lid that won't get dropped or lost. If a lifelong water bottle with an innovative twist sounds to you like something people could use, please support me and enjoy one of the rewards on your right. You and the planet won't regret it! Over 36 billion disposable plastic water bottles are bought, used and tossed into landfills each year. That's enough bottles to circle the earth 150 times. By purchasing a reusable water bottle we'll all be better off. And Liquid Hardware bottles are built to last a lifetime--guaranteed. You'll never need to buy another one as long as you walk this earth. And these precision-crafted BPA-free bottles won't leak, drip, break or change the taste of the liquids inside them. Every Liquid Hardware stainless steel bottle hides a rare earth magnet in its lid--a simple and effective way to ensure you never lose your lid or need two hands for a one handed task. Just stick the lid to the side of the bottle's ferromagnetic ring. If you're like me, you drink a lot of water. And if you've ever placed your water bottle lid down somewhere and later forgot it, or have driven down the road holding your bottle's lid in one hand while taking a drink with the other, you'll recognize how this simple innovation will make your life easier. It's durable and taste and toxin free. I chose 18/8 stainless steel for Liquid Hardware's first bottle because it is used in the dairy, brewing and medical industries. 18/8 stainless steel does not rust or stain and more importantly, it doesn't retain any flavor from the liquids used in it or impart a metallic taste. That means that after you clean it with soapy water, the fruit drink you drank last night won't be in the taste of the water you drink this morning. Stainless steel is tough and almost impossible to break. That's important when you're building a bottle to last a lifetime. Or two. Think of it as an heirloom water bottle so simple, useful and durable that your grandkid may use it someday. The project has gone through the utility patent application process; that means no one else out there can create a container with a magnetic lid. I have tested the bottle extensively to make sure the magnet is strong enough to hold the lid on, no matter how many bumps it takes, yet easy to pull off when you want to put it back on top. I have designed the bottle and developed 3-D modelling. I have CAD drawings finished and IGES files created (these are the data files used to make tools). Renderings have been created from the models and tooling is being built. A complete set of Q&A reports have been developed. And I'm wrapping up a website with ordering capability. Liquid Hardware is US Patent Pending with international patent rights reserved. 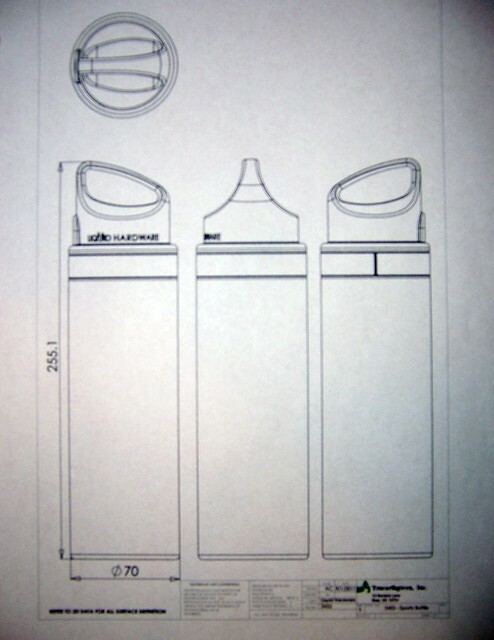 The patent covers any container with a lid (glass, plastic, aluminum etc.). Liquid Hardware reserves the rights to Liquid Hardware, Liquid Hardware logos and the Quick Stick Lid. I need your support for a large enough purchase order to help make pricing per unit affordable enough for a first run. With a phone call and a few bucks, the bottle manufacturing can begin and this will go from dream to reality. The first bottles shipped will go to you. And I'm working on a beer growler next. This all depends on you. If you think the magnetic lid and a high quality lifelong bottle are cool, please let others know. From friends and family to store owners, it could really make the difference! I know you won't remember how you got along without a Liquid Hardware bottle once you have one in your hands. Thanks for your support. Please donate now because the more of these bottles that I can get into people's hands, the fewer plastic bottles my daughter and her children will have to see and deal with decades from now. Thanks! A sincere email thank you from Liquid Hardware and an update on our progress. Thanks a lot! You'll receive two 28 oz. Liquid Hardware bottles in brushed stainless--one for you and one to share (a $50 retail value). Price includes shipping in USA. Canada add $10. International add $15. Thanks, you thirsty devil you! This reward includes four, count 'em four, 28 oz. Liquid Hardware bottles in the color of your choice. Price includes shipping in USA. Canada add $15. International add $20. Thank you! Your pledge earns you our sincere gratitude and five 28 oz. Liquid Hardware bottles in the colors of your choice. Your friends are going to love them. Price includes shipping in USA. Canada add $20. International add $30. Muchas, muchas gracias. Your gracious pledge earns you ten bottles in your choice of color. Cool gifts for your nine closest buds with one left for the Giver. Price includes shipping in USA. Canada add $25. International shipping will be calculated based on destination. Wow, thanks! On top of that, you'll get 36 of our 28 oz. 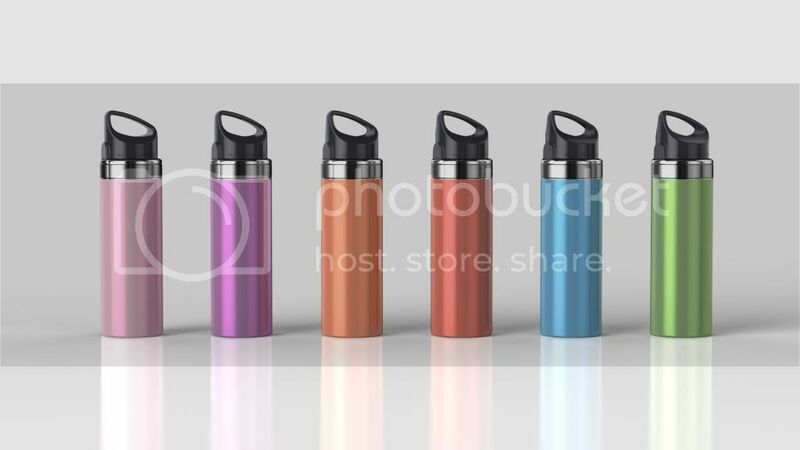 Liquid Hardware bottles in a six color assortment. Ideal for retailers, generous believers or aspiring entreprenueurs. Also great if you just want to have cool holiday and birthday gifts on hand for the year. Price includes shipping in USA. Canada add $60. International shipping will be calculated based on destination. Our sincere thanks and 48 of our 28 oz. 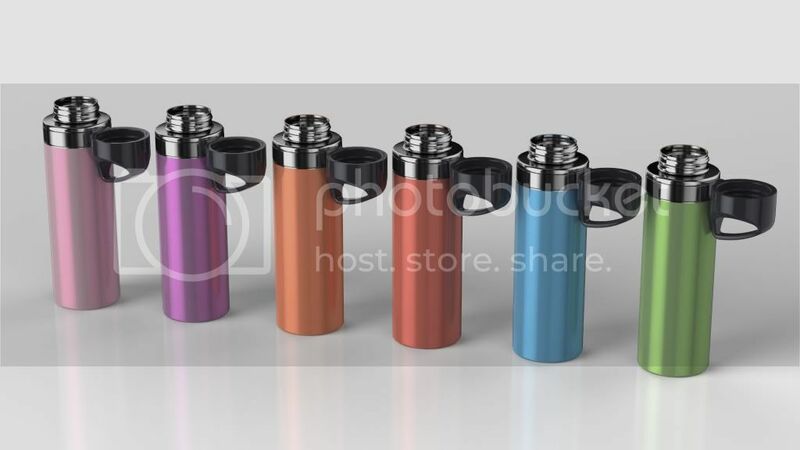 Liquid Hardware bottles in a six color assortment. You and your customers will love 'em. Price includes shipping in USA. Canada add $60. International shipping will be calculated based on destination. Really?! Wow! Your support earns our undying gratitude and an even hundred 28 oz.bottles in an assortment of colors. We'd love to hear your plans for them. Price includes shipping in USA. Canada add $70. International shipping will be calculated based on destination.